great quote! I've been stressing lately so this was a great pick me up! What a beautiful sentiment. Hard to always keep it in the forefront your mind and to practice but great words to live by. Love this! I love Marilyn Monroe, and just look at her rocking the printed pants to boot. Wise woman. Her message still resonates today. I've only read pieces of this. Thanks for sharing. Great words, she was stunning! She was such a sensitive and sensible soul! great words sweety, thank you for sharing! 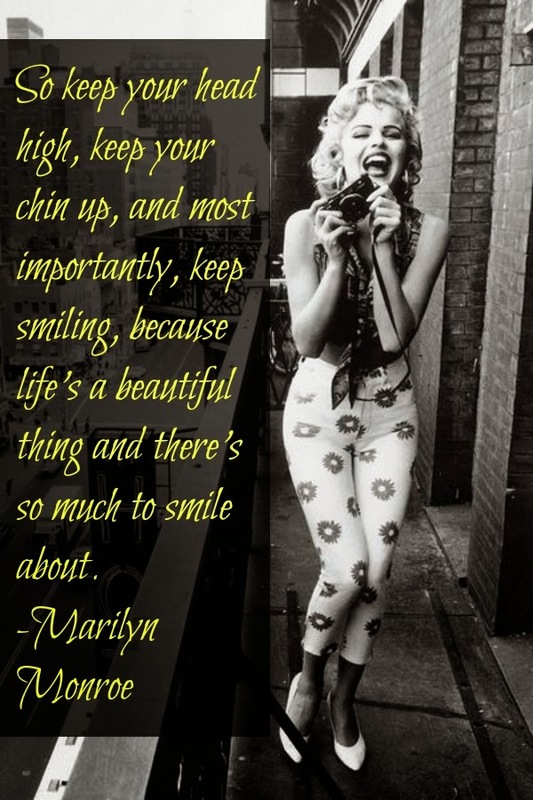 oh this photo of marilyn monroe is so absolutely beautiful and adorable and the quote is great too!